This week at work I learned the basics of Adobe After Effects. Next up is Adobe Audition and Premiere. 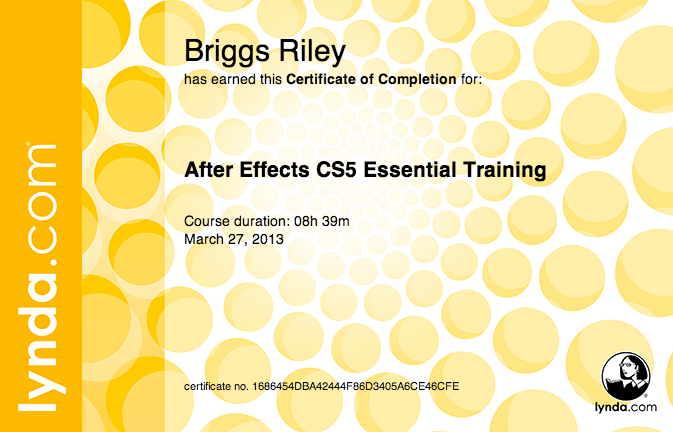 This is the first course that I have fully completed on Lynda.com. I hope I can get some projects soon to practice and then I might have to upgrade so I can play with these programs at home.